..LIFETIME POWERTRAIN WARRANTY! * For details call (844) 653-0900. 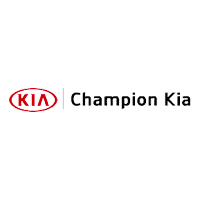 You will feel like a champion, purchasing your vehicle from Champion. You can buy with confidence, because all of our vehicles are put through a rigorous multi-point inspection, before they are offered for sale. Centrally located in the heart of Santa Clarita Valley. Champion is fully staffed with factory trained service technicians. Give us the chance to exceed your expectations. *Limited Lifetime Powertrain Warranty is included, on all our pre-owned vehicles with less than 100,000 miles. Certified vehicles, vehicles 10 years old or older and some makes are not eligible. See dealer for complete details. Champion taking the worries out of buying a preowned vehicle. .LIFETIME POWERTRAIN WARRANTY! * For details call (844) 653-0900. You will feel like a champion, purchasing your vehicle from Champion. You can buy with confidence, because all of our vehicles are put through a rigorous multi-point inspection, before they are offered for sale. Centrally located in the heart of Santa Clarita Valley. Champion is fully staffed with factory trained service technicians. Give us the chance to exceed your expectations. *Limited Lifetime Powertrain Warranty is included, on all our pre-owned vehicles with less than 100,000 miles. Certified vehicles, vehicles 10 years old or older and some makes are not eligible. See dealer for complete details. Champion taking the worries out of buying a preowned vehicle.